Alyssa has been working in the health and wellness industry for just over 4 years in Sydney, Australia. As a young entrepreneur and health enthusiast, she has dipped her toes in various fields of the health industry such as sports nutrition, fitness meal plans, Pilates instructing, Yoga instructing and working in a martial arts gym. After a few years in the industry, she realised that people lacked the ability to embrace and love themselves. In a world where beauty ideals are far from what reality is, there is a deep struggle and thirst to become more beautiful, more perfect and forever not enough. In 2017, she co-founded Grace x Strength with Josephine with the goal of creating a space for people to experience grace and strength through Christ-Centered Yoga. One of her main goals now as a Pilates Instructor, Christian Yoga Teacher trained by Holy Yoga and blogger, is to help women set healthy goals, learn to have the grace to embrace their present and find mind, body and soul wellness, so that they can transform and radiate beauty that comes from the inside out. Want to hear more about her Christian Yoga journey? Listen to her interview on HOPE103.2 ! 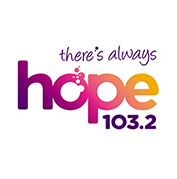 Here, Alyssa sheds light into her journey of Christian Yoga with Hope 103.2's Duncan, and why she believes Christians can benefit from the practice. 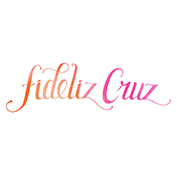 Alyssa's 5 Tips to Endless Growth revealed in a guest feature on award-winning life coach, Fideliz Cruz' blog.